CINCINNATI - One of the hottest pockets of the local hotel industry is a room with a view but no walls or ceiling. Rooftop bars are catching on quick in Cincinnati. Five opened in the urban core since 2012. At least four more aim to debut by 2019. Hotels are leading the trend, boosting their profits with outdoor spaces that offer killer views, urban ambience and the occasional adult slushy. The “hidden oasis” at 21c debuted when the hotel opened in 2012. Its 75-seat deck has stunning views of Mt Adams and creative cocktails to stoke that summertime vibe, including “poptails,” which are fruit-flavored popsicles made with vodka or champagne. The region’s biggest rooftop bar is shooting for a late March opening at AC Hotel Cincinnati at The Banks. General Manager Jessica Carlson said the 3,000-square-foot deck has a capacity of 277 people. 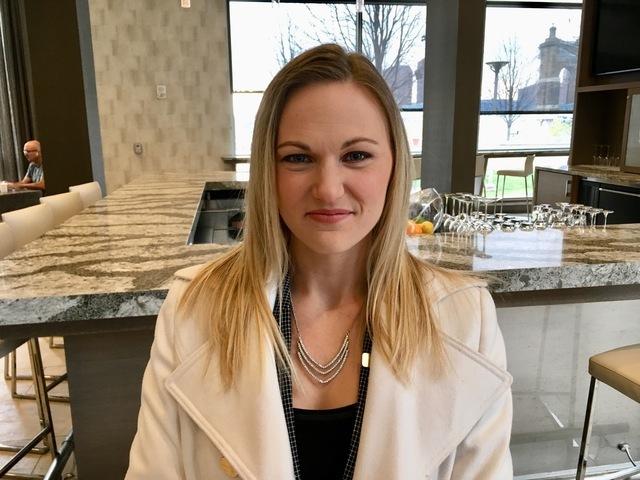 It can be divided into semi-private spaces for weddings and corporate parties and it will be marketed jointly with two other hotel properties developed Downtown by Winegardner & Hammons Hotel Group LLC. Those are the Residence Inn at the Phelps and Lytle Hotel, an Autograph Collection property now under construction at Lytle Park. 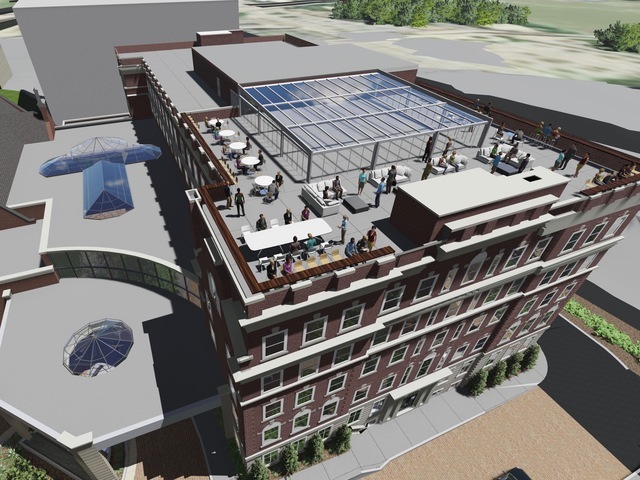 The Phelps property opened its Top of the Park rooftop concept in 2013, doubling its size a year later because of its popularity. The two-level roof deck can hold 60 people upstairs and 100 below. The larger space commands weekend rates of up to $8,000 for private parties on Friday or Saturday night and its rooftop lemonade, made with Smirnoff Vodka, muddled strawberries, fresh lemon juice and wild berry simple sells for $41 per pitcher. 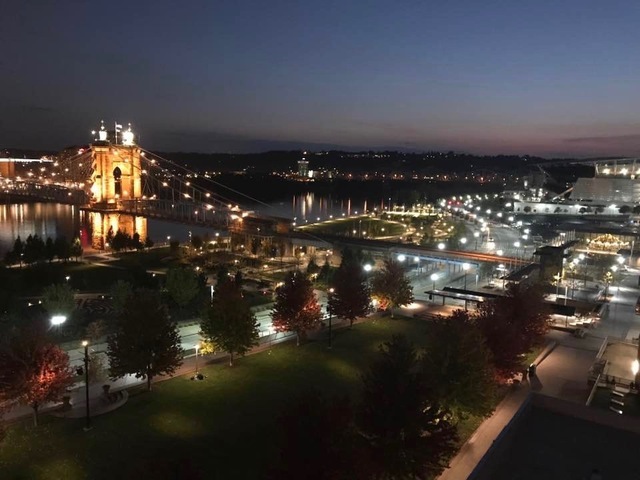 The deck has sweeping views of Mt Adams, Newport and the eastern riverfront and a food menu that includes $15 flatbreads and an Aglamesis Brothers ice cream sandwich for $7. The Lytle Hotel is planning a more exclusive rooftop experience on the roof of the former Anna Louise Inn at the corner of Lytle and Pike streets. The luxury hotel property, slated to open next fall, will have a 200-seat private banquet facility with glass walls that open to the elements when the weather is nice, but will also offer heat or cooler, drier air when nature doesn’t cooperate. And the people will get more of what they want, said Paul Kitzmiller, CEO of Core Resources Inc., a real estate developer that specializes in retail and restaurant spaces. Kitzmiller said hotels are leading the charge in Cincinnati because their buildings tend to have stronger support structures that accommodate roof access. But several bars and restaurants are looking for ways to add rooftop spaces. He expects some will take the plunge in 2018. Covington’s Braxton Brewing Co. recently secured a city permit for a rooftop deck on the second floor of its craft brewery and taproom at 27 West Seventh St., but it hasn’t worked out the details of its outdoor venue. Rhinegeist Brewery in Over-the-Rhine opened its rooftop bar in 2015 with a 7,000-square-foot deck that holds up to 200 people. Other current offerings include the Blind Pig Bar & Grill on Third Street, which opened a 50-seat patio in 2014 with views of the Freedom Center and Paul Brown Stadium. The Cincinnati Reds added city-view terrace in 2015 that’s available to fans who buy upper-deck seats in the left field corner of Great American Ball Park. And Jack Cincinnati Casino added an outdoor terrace in 2015 that can accommodate groups of up to 250 people and is open to the public for events like hookah night, jazz night and football tailgate parties. 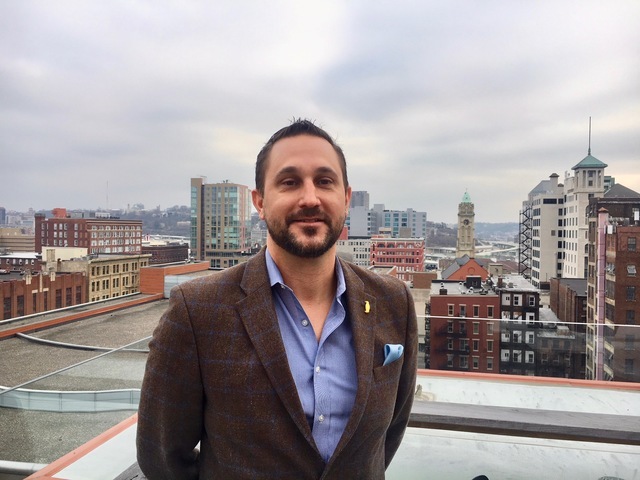 While it’s relatively new to Cincinnati, the rooftop bar trend began more than a decade ago in bigger towns like New York and Chicago, where hoteliers have used them to court millennial customers and generate social-media buzz for the properties. 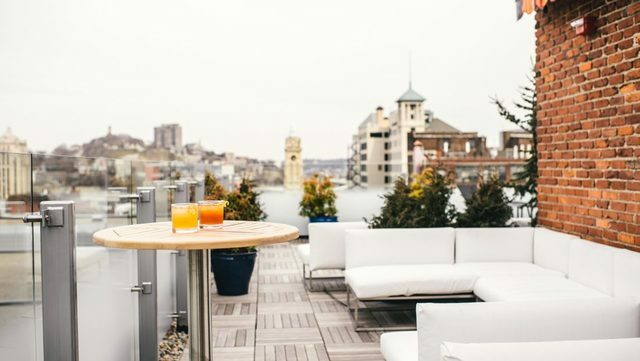 Rooftop bars also help cultivate loyalty, as customers tend to view them as an amenity that enhances their travel experience. And they definitely help the financial profile of a hotel with menus that are light on food offerings and heavy on every restaurant’s profit center: Wine, beer and cocktails. Increasing competition doesn’t seem to worry hotel managers, who argue each of the new venues have unique attributes that ensure they won’t all be chasing the same customer. But they’re not just counting on a rising tide to lift all roofs. At the 21c, for example, Dunbar is talking to his Louisville headquarters about expanding its Cocktail Terrace to a second floor, on the roof of its enclosed spa. In the near term, he’s planning to add new awnings, misters, plants and – for the first time – an artwork component to 21c’s sky bar. Dunbar expects to hire a local artist to develop a mural or projected images for the brick wall surface of 21c’s rooftop spa.